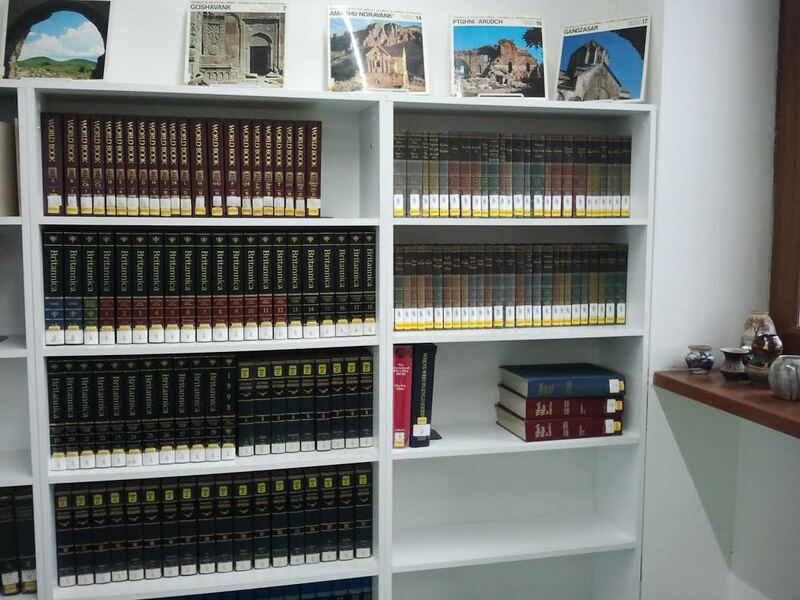 YEREVAN, Armenia – The American University of Armenia (AUA) AGBU Papazian Library recently received a generous donation of a 54-volume set of ‘Great Books of the Western World,’ a collection of the greatest writings in Western history. The donation was made by Carol Banke, a relative of Dr. Douglas H. Shumavon, former Political Science and International Affairs (PSIA) Program Chair. The ‘Great Books of the Western World’ covers subjects such as fiction, history, poetry, natural science, mathematics, philosophy, drama, politics, religion, economics, and ethics from the ancient classics to the newest masterpieces of the 20th century. Donations have contributed significantly to the growth of both print and digital collections at the AGBU Papazian Library. In October 2014, the library honored both Vartan Gregorian, President of the Carnegie Corporation, and Richard Hovannisian, Professor of Armenian and Near Eastern History at the University of California, Los Angeles, for the donation of their book collections, a valuable contribution to the library. The library was also able to renew its subscription to the Health Inter-Network Access to Research Initiative (HINARI), an extensive public health electronic database, through 2015 thanks to a generous donation. 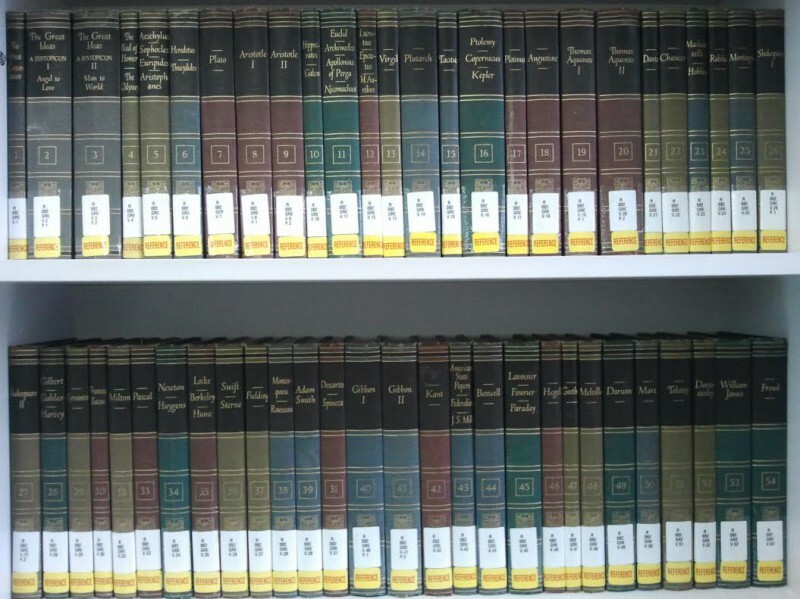 The American University of Armenia (AUA) AGBU Papazian Library recently received a generous donation of a 54-volume set of ‘Great Books of the Western World,’ a collection of the greatest writings in Western history.